I was quoted very briefly on the Wall Street Journal website today. 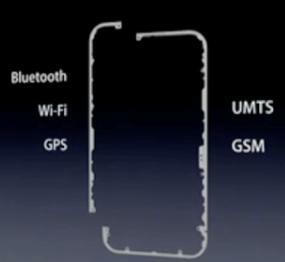 The subject was the new antenna in the Apple iPhone 4. Tomorrow I’ll write some more about this interesting antenna. 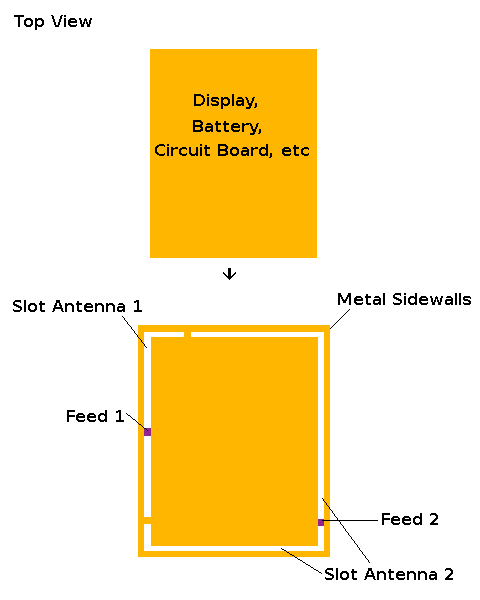 My first job in Antenna design was designing internal antennas for cellphones. The cellphone market is enormous and every handset needs at least one antenna, and often two. It’s important for many of the people involved to understand the problems, so this is a very basic overview. 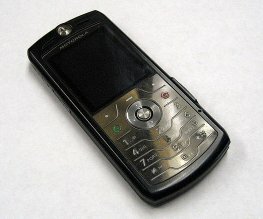 Due to the differences between handsets nearly every new model requires a new bespoke antenna design. The volume allotted for the antenna is different in each new handset, and it’s a different shape. The circuit board and the metal parts of the handset provide a groundplane for the antenna. This groundplane generally changes in size and shape with every new model. The groundplane characteristics affect the antenna significantly. An antenna built for a particular groundplane will not work well on a groundplane with a different size and shape. The plastics surrounding the antenna, and other nearby components also affect the antenna’s parameters. Because of these issues it is virtually impossible to reuse designs directly. It can sometimes be done with external antennas such as whip antennas and stubby antennas, but not with the internal antennas commonly used today. It can sometimes be done with Bluetooth and Wi-Fi antennas, but not often with the main antenna for the cellular service. So, Antenna Designers use a different sort of reuse. They gather knowledge about certain types of antennas, such as PIFAs and sub-types of them, they then learn how those sub-types behave and what factors affect their performance. An Antenna Designer learns how to “tune up” a few types of antenna. This allows him or her to quickly respond when given a particular product to work on. To make this process as efficient as possible the major antenna companies have invested in rapid prototyping equipment, rapid antenna measurement equipment and other infrastructure.